The Tokina 12-28 AT-X Pro DX wide-angle lens has just been announced, and it looks to be a an exciting replacement for one of their existing lenses. 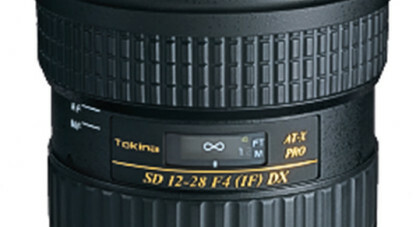 Tokina AT-X 12-28 f4 Pro DX wide-angle zoom lens. Images courtesy of Tokina and G and L Agencies. Tokina are a lens manufacturer that are well known for their high-quality wide-angle lenses, and ultra-wide angle lenses. The Tokina AT-X 12-28 Pro DX has just been announced, with a release date for the middle of 2013 in Canon mount, and an earlier date for the Nikon mount. The new lens is a successor to the very popular AT-X 12-24 f4.0 DX. The advances over the older lens look to be quite numerous and should bring improvements in image quality, AF operation and zoom range. The AT-X 12-28 is designed for cameras that have APS-C or DX sized sensors, which is to say, smaller than full frame. On Canon cameras with APS-C sensors inside, like the 700D series, Rebel series, 60D series and the 7D, the Tokina is equivalent to a focal length of approximately 19mm – 45mm and on Nikon DX sensors, approximately 18mm to 42mm. Tokina already make an ultra wide-angle zoom lens for full-frame camera users in their AT-X Pro FX 16-28 f2.8. According to Tokina, the 12-28 is a totally new design, and will feature two elements in its lens groupings made of ultra-low dispersion glass, which go a long way toward improving image quality and eliminating chromatic aberration. The lens has an increased zoom range of 4mm over the lens it replaces and a constant aperture of f4.0. Tokina AT-X 12-28 Pro DX wide-angle lens optical design. Images courtesy of Tokina and G and L Agencies. The extra 4mm of focal length on the long side adds to the versatility of this lens. The lens retains the one-touch focus clutch mechanism found on most recent Tokina’s. High precision and faster autofocus should also be evident with the new 12-28, as a result of an advanced AF control sensor. A newly-developed “SD-M” (Silent Drive-Module) will also make focus operation much quieter. The Nikon-mount version of the lens has a built-in motor to enable AF use on older entry-level Nikon dslr bodies. 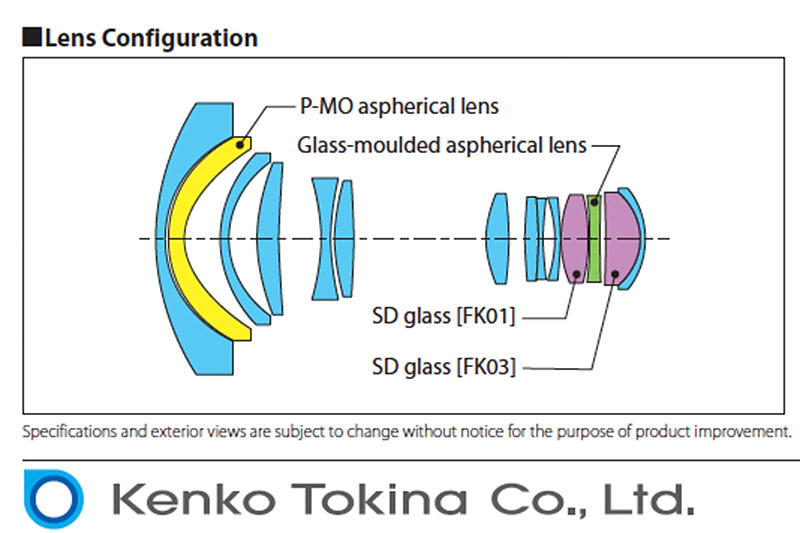 Tokina have managed to fit all this new technology into a lens casing the same size as the older lens. 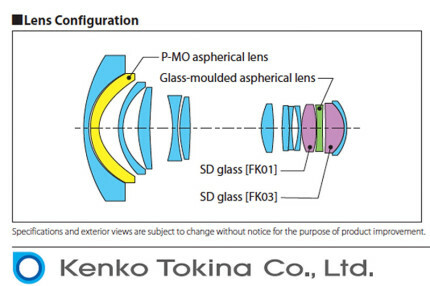 The new lens weighs 530g, and it is to be expected that it will be built to Tokina’s usual high standards when it comest o build quality. The new lens retains it’s 77mm filter size and can work with a circular polarizing filter. With so many improvements incorporated in the new design, the new lens looks like it will be well matched to the high resolution sensors that are increasingly making their way into modern dslr cameras. I look forward to being able to shoot this new Tokina and am expecting good performance from it. 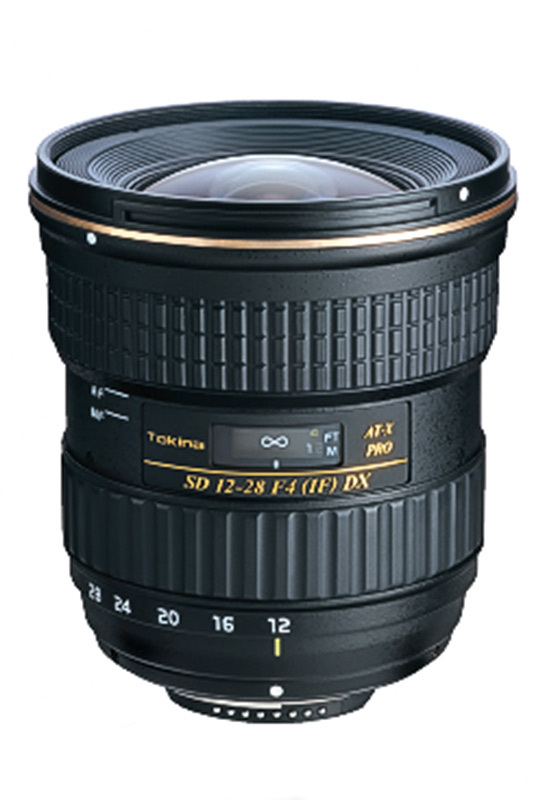 Do you now where one could shop for Tokina lenses in SA? I’m looking at the 17mm f3.5 prime. Have you used this lens perhaps? I have a crop body sensor at the moment but upgrading to full frame soon.